Recently, I was tending to my Marantz amplifiers and realized that objects will suggest design improvements. How many AM antennas snapped off before Marantz took action to ebb the broken tuner flow streaming through the warranty repair department doors? 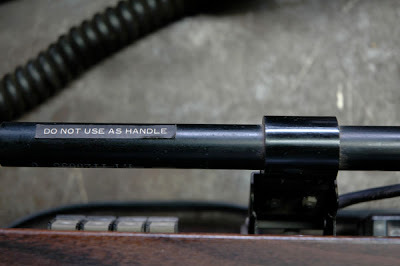 Having grown up in a house with Marantz amplifiers, I have been trying to resist using this 'not a handle' for 30 years. Though I have enough tuners to last five lifetimes, I can not resist checking to see if garage sale tuners still have the AM antenna. 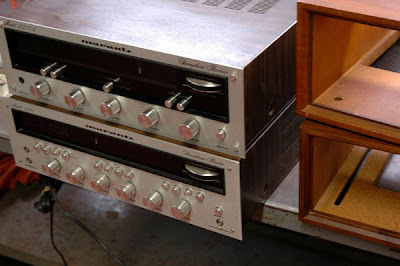 If Marantz listened to the first couple broken amplifiers and designed a subsequent integrated handle/antenna, there would be a lot more mint condition units today.